It’s time to get excited, henny, because on Wednesday, Netflix announced the Queer Eye season three premiere date on Twitter. Yes, it’s finally happening! After what felt like an interminable wait for the next installment of life-changing goodness with our Fab Five, it looks like season three is right around the corner. As the fellas chimed in with their replies, Jepsen’s song kicked in. The video then shares the message “Love yourself” before confirming that Queer Eye will premiere on March 15. Season three will see the Fab Five moving from their home base of Atlanta, Georgia, and going even further into America’s heartland as they settle into Kansas City, Missouri, to tackle a whole new crop of makeovers. Not much has been teased in the way of knowing which Kansas City residents will be getting those life-changing makeovers, but what we do know is that this season will undoubtedly be magical. Fans can also expect the special miniseries, Queer Eye: We’re in Japan!, which consists of four episodes, to hit Netflix sometime after season three premieres. To say that the eager anticipation is palpable would be putting it mildly. Since Queer Eye dropped not one but two seasons on us in 2018, the show and the Fab Five at the center of it have become instant pop-culture icons. With a focus on being as uplifting as they are helpful, fans have watched as the fellas of Queer Eye have stepped into the lives of numerous men and women, seeking to tweak their fashion, lifestyle, wardrobe, home and beyond with their own professional touches. In this way, Queer Eye has managed to differentiate itself from its predecessor and has become a staple of our contemporary pop-culture diet in the process. 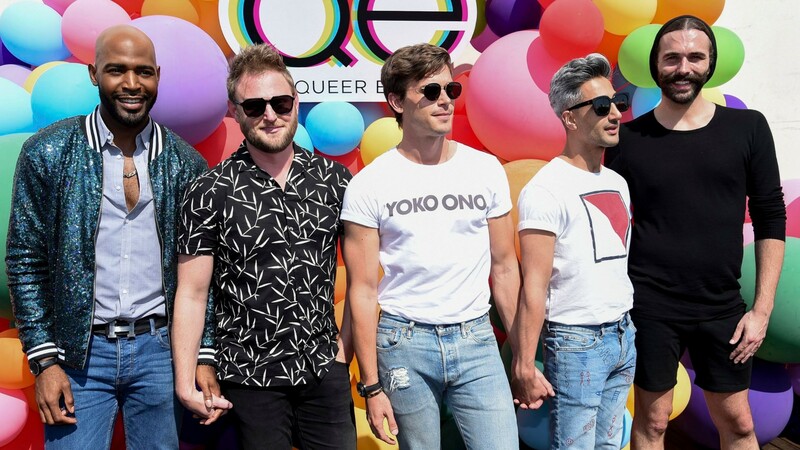 So, make sure to mark your calendars accordingly and clear your schedule because come March 15, we expect you’ll be planted in front of your TV or computer binging Queer Eye season three like the rest of us.